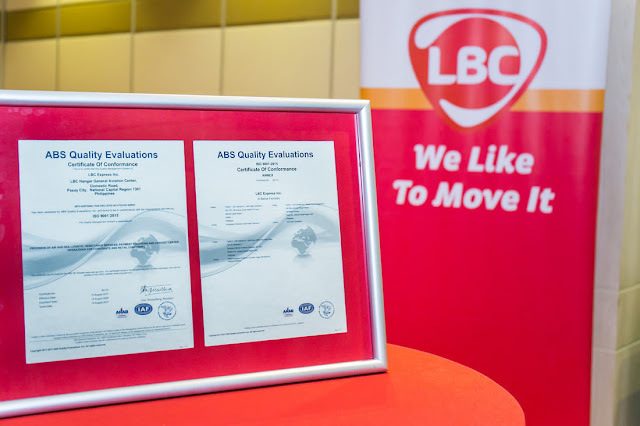 LBC’s commitment to quality has been brought to the fore as it has successfully transitioned to the new ISO 9001 Quality Management Systems standards, with certification from ABS Quality Evaluations, a third-party certifying body. The journey to quality excellence started in 2011 with LBC Solutions, the corporate arm of LBC, with its sea and air freight services certified. On its 6th year of being certified, LBC has proven its ability to sustain, extend and renew to cover air and sea freight logistics, remittance and payment solutions, contact center management for corporate and retail customers following the risk-based framework of the ISO 9001:2015 standards. LBC’s core strength is rooted in its people – on being agile, the ability to swiftly deliver and respond to delight its customers. This strength is evident in their smooth transition from the process-based approach to risk-based thinking framework with a year’s preparation for certification. The certification also re-affirms LBC’s discipline and dedication to understanding and meeting the needs of their stakeholders. Marizza Bacabac, LBC’s Senior Manager for Quality Excellence, explains that LBC, having a strong brand, will be an even stronger player in the industry, as the coverage and application of quality tools expand to its branches and delivery hubs nationwide. The focus on quality, with brand attributes of clarity, certainty, and convenience in mind, ensure operations are controlled, active management supervision is present, and that care for employees and partners is maintained. LBC is the Philippines’ market leader in retail and corporate courier &amp; cargo, money remittance, and logistics services. With a growing network of over 6,400 branches, hubs &amp; warehouses, partners, and agents in over 30 countries, LBC is committed to moving lives, businesses, and communities and delivering smiles around the world. Listed on the Philippine Stock Exchange through LBC Express Holdings, Inc., LBC aims to deliver value to all of its stakeholders, as it has for over 60 years. 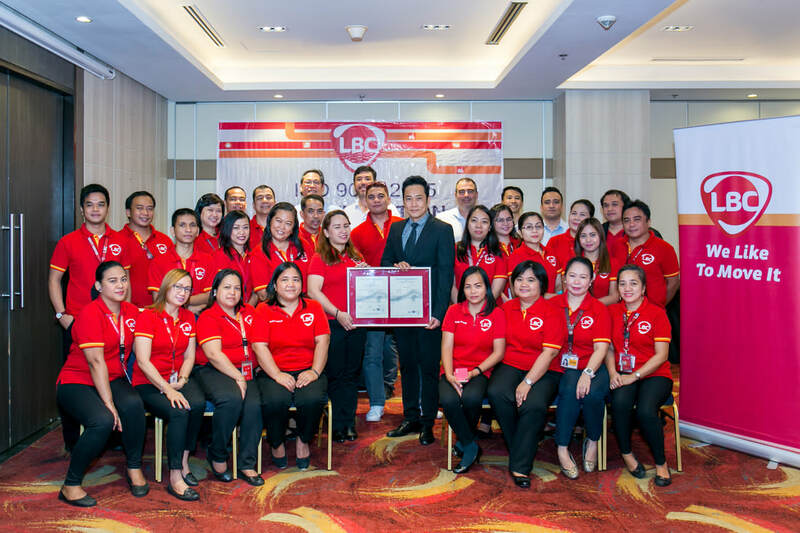 Founded in 1945 as a brokerage and air cargo agent, LBC pioneered time-sensitive cargo delivery and 24-hour door-to-door delivery in the Philippines. Today, it is the most trusted logistics brand of the Global Filipino. LBC can move it for you: visit www.LBCexpress.com, or call telephone +632 8585 999 (Metro Manila), 1 800 10 8585 999 (Provincial), +632 9086 522 (Solutions) and follow LBCExpress (Facebook and Twitter).